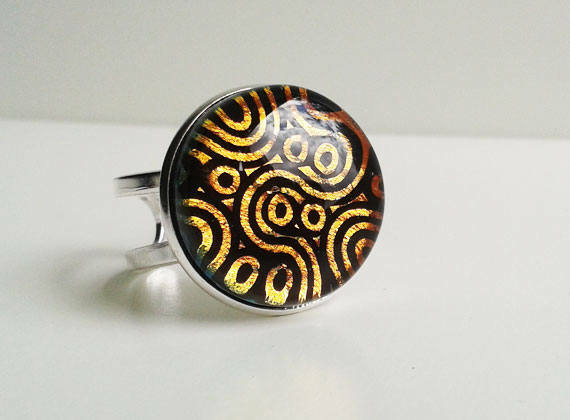 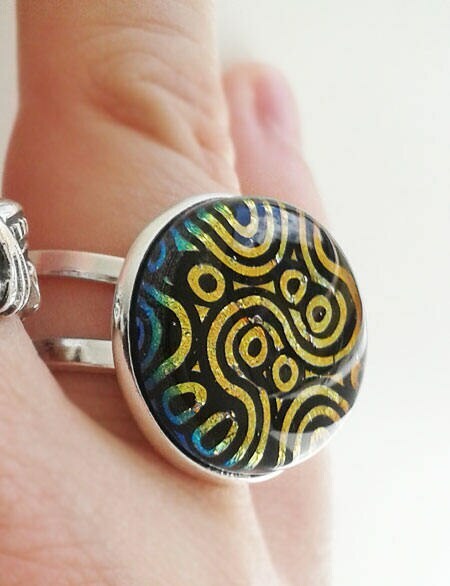 This is a bright, bold ring, made from dichroic fused glass. 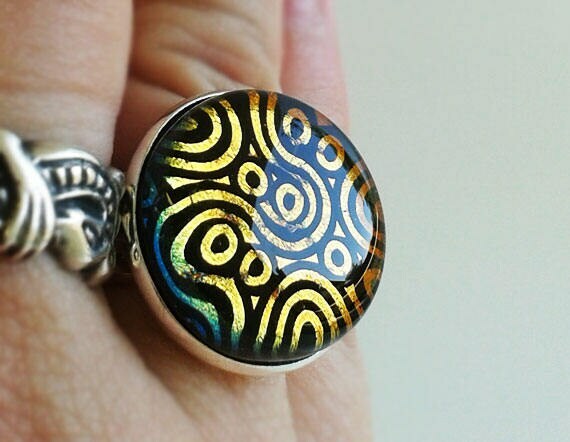 The colour changes as you shift the ring around in the light - it's a deep orange when viewed straight on, and from the side it's a cooler gold colour, with almost a hint of green around the very edges. 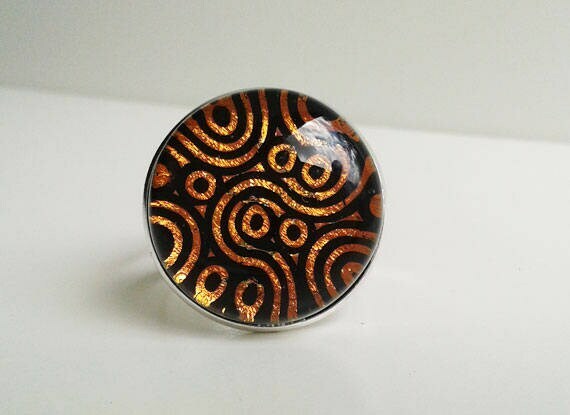 It is about 20mm in diameter. 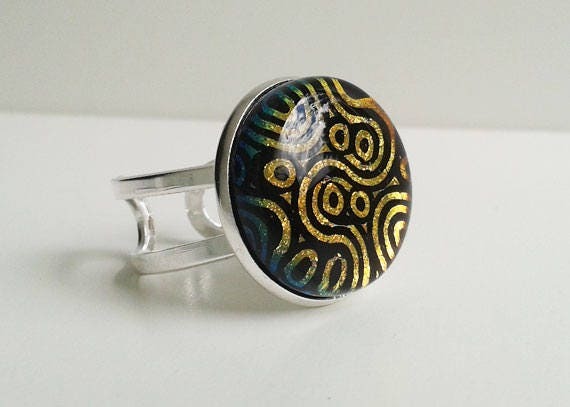 It's set in a silver plated expandable band which starts about UK size P (US size 7.5).